Intelligently organise your nursery - with the mDesign hanging storage! Assembled in no time at all, these great hanging shelves are perfect to keep your nursery in order. Shoes, bags, socks or sunglasses can be sorted out easily. Thanks to the generous size of the four pockets, you can store nappies and baby accessories hassle-free. The door hanging storage fits over most home and wardrobe doors (within normal dimensions) and is made of breathable fabric with a jute pattern. 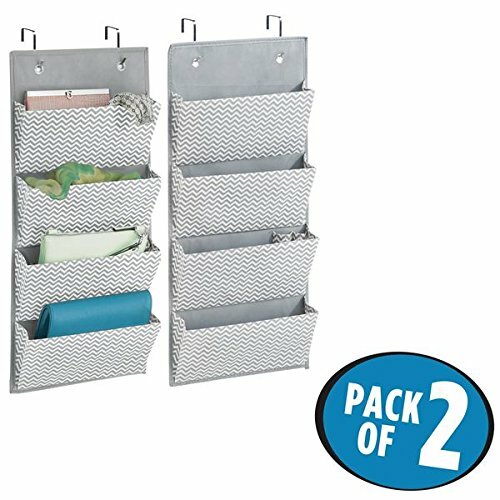 Super simple installation means you can organise your home right away!